Item # 316397 Stash Points: 5,995 (?) This is the number of points you get in The Zumiez Stash for purchasing this item. Stash points are redeemable for exclusive rewards only available to Zumiez Stash members. To redeem your points check out the rewards catalog on thestash.zumiez.com. 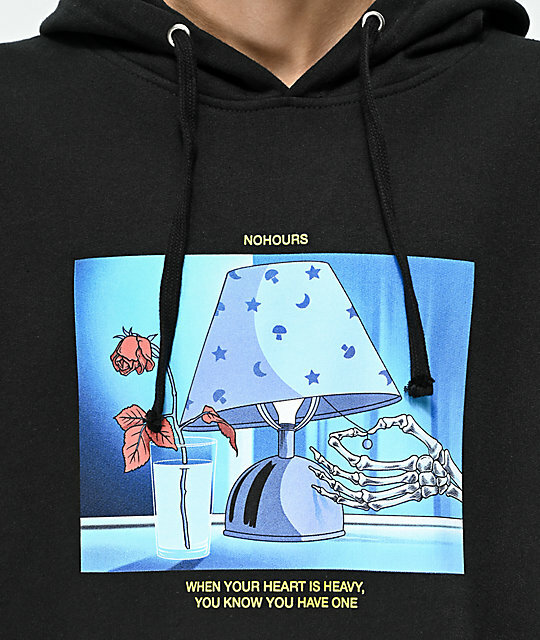 Show your soft side in the Heavy Heart hoodie from NoHours. 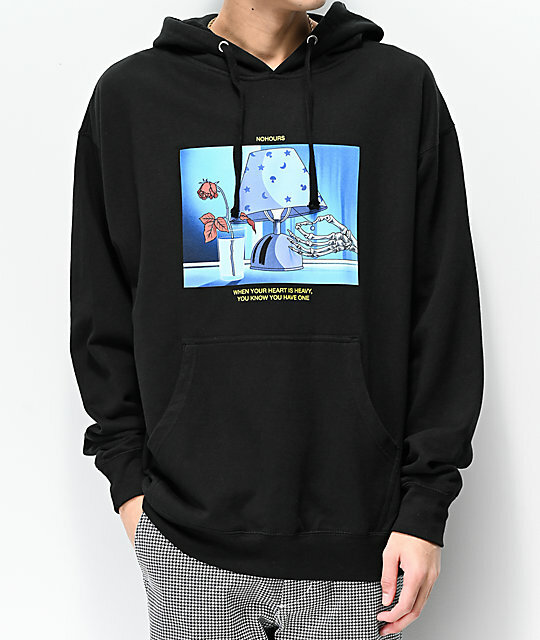 The all black, 100% cotton pullover sweatshirt features a cartoon graphic of a skeleton hand turning off the lamp that sits beside a cup of water holding a single dead rose. "When your heart is heavy, you know you have one" is printed below in yellow text. 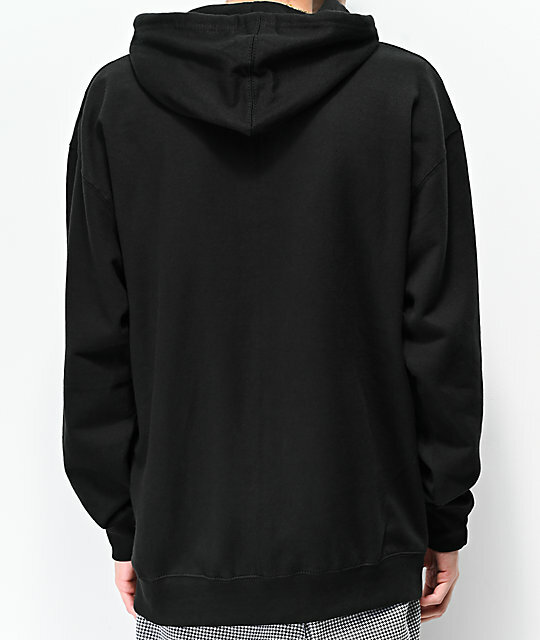 Heavy Heart Black Hoodie from NoHours.